Recently, the new Arbitrade company hit the news headlines, intending to open a trading platform for cryptocurrency and gold in Bermuda. However, Ken Griffith, head of Solidus Limited Bermuda, which has more than twenty years of experience in the gold and cryptocurrency sector, finds the project suspicious and warns the public. It is reported that Arbitrade crypto token will be provided with gold reserves stored in Dubai, the owner of which is the American company Scotia International with headquarters in Nevada. Since 1996, several legitimate gold trading sites have emerged, including gold trading paired with bitcoin: goldmoney.com, vaultoro.com, bullionvault.com, etc. However, several dozen fraudulent projects arose over the same period. Some of them were functional peer-to-peer payment platforms until they crashed. Also, in recent years, dozens, if not hundreds of scams in the form of ICOs have appeared, offering users crypto tokens that have no security. The head of Arbitrade, Leonard Schutzman, also positioning himself as “senior vice president and treasurer” at PepsiCo, argues that the Arbitrade crypto token called DIG will be backed by gold, and promises investors interest payments. In a press release Arbitrade, published on November 5, it is stated that the token is provided with a gold reserve of 395 metric tons of gold, which are located in an “independent repository”. Also, the company assures that “Arbitrade has been tested for compliance with the rules of regulators on the storage of gold.” The press release mentions certain “regulators” and audits carried out by a certain accounting firm, however, neither the country to which these regulators belong, the firm that performed the audit or the exact location of the gold reserve is mentioned. However, Bermuda has no official rules for storing gold and a process for verifying such storage. Accordingly, Arbitrade’s statements on this score sound suspicious. In the financial sector, there are two types of gold storage: allocated and impersonal. An impersonal metal account means that a bank or an institution owes a customer a volume of gold, equivalent to the amount of funds that a customer stores in a bank. However, there is no guarantee that the bank really has this gold. As a rule, within the framework of such a scheme, the contract includes a clause that the bank can pay the customer US dollars in gold. The Bank for operations with precious metals (“metal” bank), by definition, has a license for partial bank reservations. This means that in such a scheme, bank customers trust him with the storage of gold, lending it in exchange for profit. 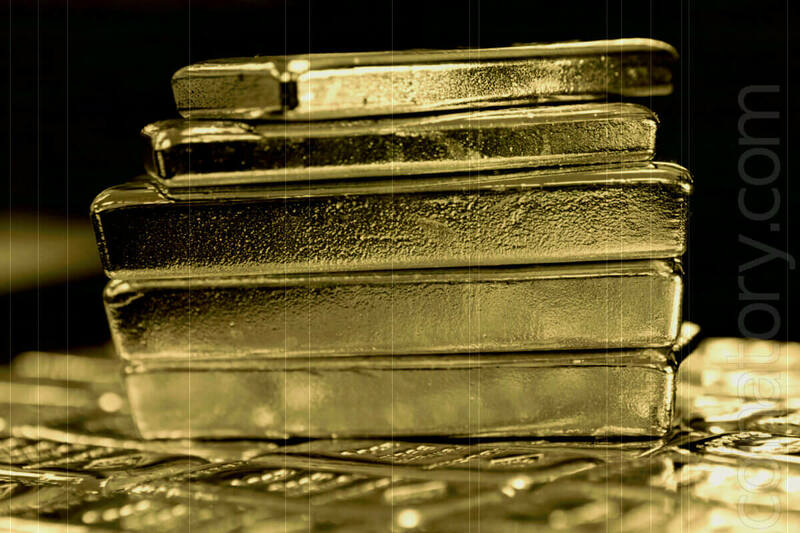 The allocated gold account is a scheme in which the institution stores real gold in the form of identifiable ingots belonging to individual customers. This is a more reliable gold storage scheme, although it does not give absolute guarantees. When in 2011 the company MF Global, a US broker in the bond markets, complex instruments and futures, went bankrupt, its head John Corzine, who worked with the Clintons, confiscated its metal accounts of $ 1.2 billion in violation of the contract. Corzine got off with a fine of $ 5 million. In the past, it was possible to make solid profits on gold through gold bonds or gold lending in the bill markets. However, the London bill market closed at the end of World War I, and no alternatives have since emerged. Currently, some central banks lend gold to metal banks, such as JP Morgan, at interest rates, but these deals are not available to the general public. Therefore, Arbitrade’s claims that it intends to offer gold interest-bearing gold accounts to users seem extremely suspicious. This type of activity falls under the banking category, in which case the company would need a banking license. In addition, the storage of gold in Dubai is a risky undertaking, even if the company storing it is legitimate. For example, in the recent past, Gold.ae Gold Trading Platform, certified by the Dubai Commodity Center (DMCC), operated in Dubai. The company was chaired by the Crown Prince of Abu Dhabi, one of the Emirates in the United Arab Emirates. In 2014, Gold.ae went bankrupt due to the fact that managers used a platform for criminal activity. When it became clear that the company was close to collapse, the chairman hurried to withdraw his own gold, which finally brought down the site, and the account holders were left empty-handed. The DMCC revoked the Gold.ae license, but the managers did not receive any punishment, and the customers were not compensated for the loss. In light of this story, the concept of crypto token provided by Dubai gold does not seem to be the most successful. You cannot create an account on the Arbitrade.io website. According to a recent press release, Arbitrade is the “leading cryptocurrency exchange,” but it is not on the crypto exchange list at coinmarketcap.com. Apparently, Schutzman released a large number of tokens in 2017, claiming that they were backed by gold, and in 2018 he again tries to raise funds during the ICO in Bermuda. The problem is that none of the declarations of Schutzman or Arbitrade finds confirmation, and some statements appear to be frankly false. The only hope is that the Bermuda Monetary Authority will carefully examine all the promises of Arbitrade before allowing the company to hold an ICO. Written using the materials of The Royal Gazette.